Braintree is located in Essex in the south east of England. The seat was created in 1974. The current member of parliament is the Conservative Party’s Brooks Newmark who has served since 2005. I worked as a civil servant for nearly ten years before being made redundant shortly before starting my election campaign. It was mostly during this time that I formed the strong political opinions that I am using as my election platform. I have a degree in psychology and a Master’s degree in philosophy of mind, both from the University of Southampton. In 2014, I published a book on the philosophy of consciousness. I live in Rayne in the Braintree constituency, and always have done, apart from the few years when I was at university. I am standing as an independent candidate because I think we need a culture shift away from the main parties. They have become too big and powerful, and people do not see them as representing the people they are supposed to represent. They have become less about principles and more about trying to win votes, shifting their policies whenever it suits them. But we are trapped by our voting system, which encourages us to vote for a main party candidate or risk wasting our vote. But we need to look ahead and resist the urge to vote for the status quo, and eventually Parliament will have to listen. 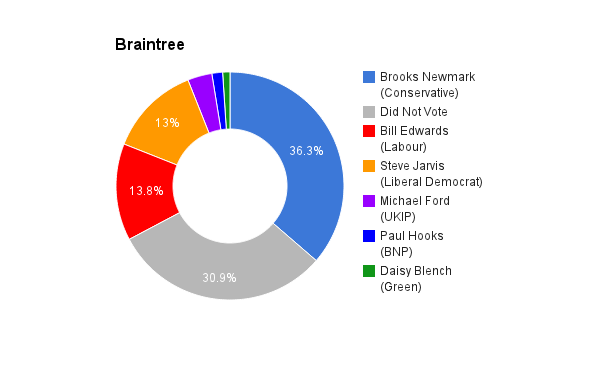 I was born in Braintree and have lived in the constituency all my life, apart from when I was at university, so knowing the area should help me to keep in touch. As an independent, I would always be able to stick to my principles and put the interests of my constituents first without having to worry about toeing a party line. I would regularly meet with constituents to get their views on any subject they may be concerned with, including those to be debated and voted on in the Commons. As said, I am from this constituency, but primarily, I believe in the fairness of my policies, and that they would be appropriate for any constituency. For example, I think we urgently need a more democratic voting system using proportional representation. We need a system that is not biased towards the major parties, and allows people to vote for independent candidates or candidates from minor parties without worrying about wasting their vote. This is particularly important now that more and more people are feeling disillusioned and let down by the political process. The Conservative MP Brooks Newmark has campaigned for the “Cressing Loop”, which would vastly improve rail services to and from Braintree by enabling trains to pass each other between Witham and Braintree. While this has not yet been implemented, hopefully his efforts will speed up the process. Having had his own problems, Brooks has helped raise awareness for mental health problems, which currently do not receive enough attention or funding. Austerity is not working. The poorest members of society have been hit the hardest and inequality has grown. Welfare has been cut while the richest members of society have had little to worry about. We are definitely not “all in this together”. We can avoid cuts and balance the books with a fairer tax system that asks for more from those who can afford it. We’ve been told that the economy has grown. However, economic growth is a poor measure of a government’s economic success. It says nothing of where any extra wealth has ended up. We need to look at more relevant measures such as median wealth, and the wealth of the poorest in society. We’ve also been told that the government has created extra jobs, but this says nothing of the pay, conditions and working hours. For example, we have seen an increase in zero-hours contracts. Immigration brings enormous benefits to the UK, and I would not place more limitations on it. But the situation is not simple. On the one hand many British workers complain that immigration leaves fewer opportunities for them, and on the other hand we hear that immigration is good for the country. However, most of those who consider themselves to be negatively affected are lower paid workers, who are already marginalised by the inequality that we have in our society. We need to work towards solving this, and then we should be able to benefit from immigration without the negative aspects. We also need to invest in housing and infrastructure to cope with an increasing population. Finally, we should not begrudge people from poorer countries moving here for a better life. People do not deserve a better life than others just because they happened to be born in a rich country. Wages for the top few per cent have risen well above inflation. The problem is not the total amount of money available for wages, but how it is distributed. We need to raise the minimum wage, and reward companies for minimising the wage ratio between the best and worst paid employees in a company. Renationalising public services would mean that private companies and their shareholders would have fewer avenues to siphon off public money, and this would help to create a more equal society. 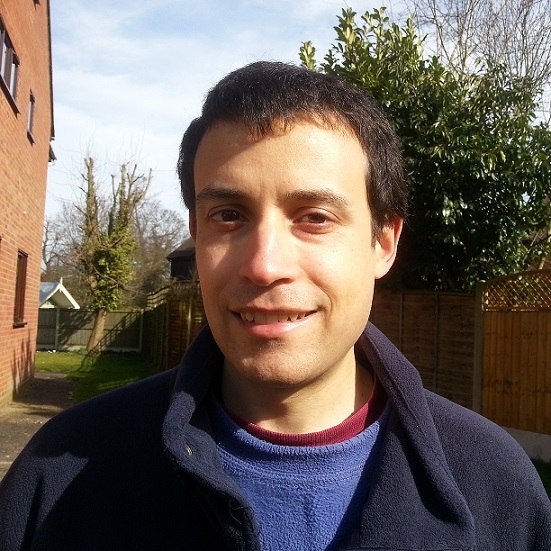 Building more social housing and moving towards a fully nationalised housing rental market would guarantee more affordable living costs, and would stop private landlords from draining public funds in the form of housing benefits. Renationalising energy would mean that the government could set energy prices and protect against spikes in prices. Investing more in renewable energy would make us less vulnerable to fluctuating oil prices. We need to be clear that the NHS will not be privatised, in whole or in part. Services that are currently privatised should be renationalised. This would save money as privatisation means that taxpayers’ money goes straight into the pockets of private shareholders. We need to spend as much as it takes to get the NHS functioning at the right level. Any extra funding can be paid for with higher taxes for those who can afford it. More funding is needed for mental health. Failure to provide this is a false economy, as mental health problems are frequently only treated once they have already become very serious, making them more expensive to treat and often after much damage to society has already been done. There also needs to be more public health information enabling and encouraging people to better look after their own health. This is a problem at many levels. We obviously need to raise standards of education so that anyone attending any school can expect to be educated properly, and education should be open to people of all ages. Those who are long-term unemployed should expect to receive education and training, but not be threatened with loss of benefits. We need to provide all the goods and services the country needs, but this does not necessarily require everyone of working age to be in full-time work. In the future, more and more services will be automated and simply won’t require human operators. This does not need to be seen as a bad thing. As long as the wealth exists and it is distributed properly, people will be free to pursue their own activities and goals without having to justify them in terms of making money. Generally, we need better wealth distribution. There are fewer women, people from ethnic minorities and people from poorer backgrounds than one would expect given the population distribution, and we need to overcome barriers that people from any background may face when trying to enter politics, but without actively discriminating against people who are from better represented demographic groups. This is not to say that someone can only be represented by an MP from their own demographic group, and I would encourage people to vote on policies and principles rather than on background. However, we do also have a problem when it comes to the diversity of policies and principles in Parliament. This certainly does equate to a lack of representation, and it is in large part a result of our minimally democratic voting system. A more democratic and representative voting system would help the diversity of policies and principles as well as demographic diversity. I would encourage constituents to vote to stay in the EU. I recognise that the EU could be more democratic and transparent, and the current Transatlantic Trade and Investment Partnership (TTIP) negotiations illustrate this perfectly, but these are reasons for reform rather than to simply leave. I see freedom of movement as a good thing, but we must invest more in housing and infrastructure to cope with population growth. The EU is a very useful platform for countries to work together on a multitude of matters, including climate change, international inequality and trade. We need to campaign for a better EU, but we would lose a lot by simply walking out.